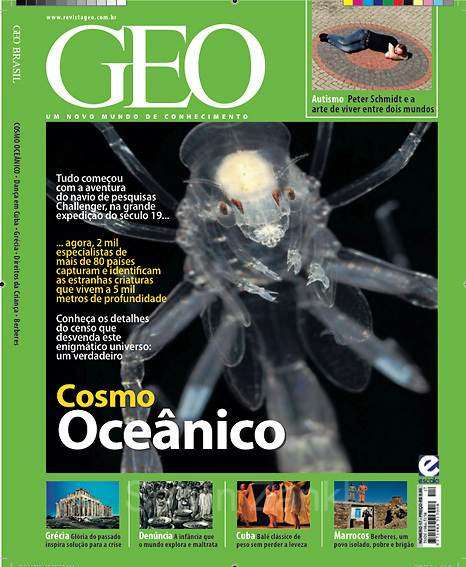 GEOinternational magazine 09/2010 prints Solvin's images of the Deep Sea plankton as cover story. The pictures were taken on a research cruise within the Census of Marine Zooplankton CMarZ from Germany to South Africa in November 2007 aboard the icebreaker Polarstern. Census of Marine Zooplankton CMarZ is part of the Census of Marine Life project.